Do you have what it takes to be a Greek God or Goddess? If so, then Relativity Media – the studio behind the visually spectacular 3D action adventure Immortals – wants you to sign up right away! Exclusively offered via Facebook today, the Relativity-Archaia Immortals promotion sponsored by Fandango, the nation’s leading moviegoer destination, will crown the winners on July 1 with a king’s ransom-worth of prizes, including a grand prize where contest winners will be immortalized as graphic novel characters with the “reveal” taking place at the Archaia panel during Comic-Con in a special photo-op ceremony. Winners will also receive an all-expenses-paid trip to San Diego to attend the 2011 Comic-Con International. The package includes airfare, hotel accommodations, and exclusive access to special Immortals events throughout the convention. The long-awaited GUMSHOE-in-Space is finally here. 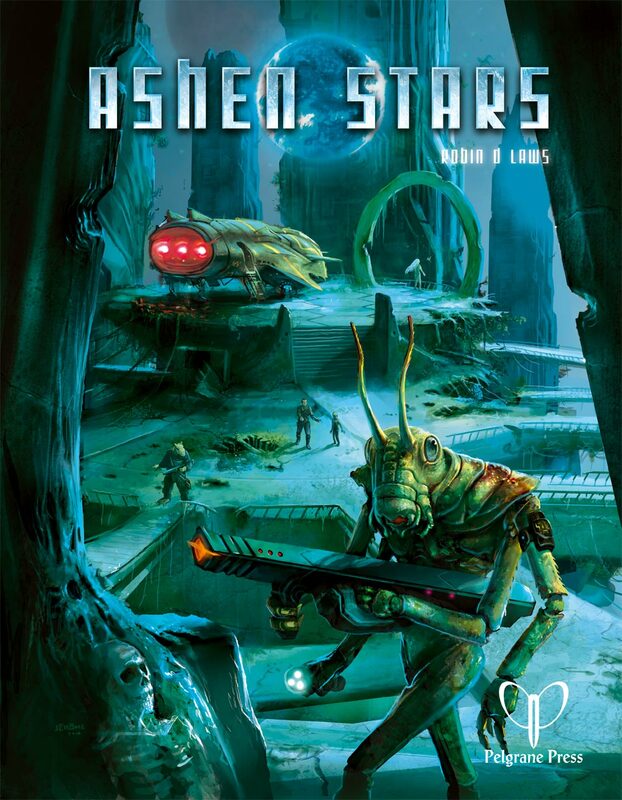 Ashen Stars is the newest and biggest GUMSHOE game from RPG legend Robin D Laws. Being GUMSHOE, it is flexible, you can play it as hard sci-fi, space opera or cyberpunk or anything in between. Available as a pre-pre-order now direct through the Pelgrane Press Online Store. Those who order get a simple PDF now, exclusive fiction, and your name in the credits, and then get the final PDF and a signed and numbered copy on release. Comic book publisher Boom! Studios debuted a web exclusive for the brand new Hellraiser comic series, written by Clive Barker. Boom! celebrated the release by raising hell all over the blogosphere. They reached out to bloggers and reviewers by offering the short story and pages of the preview for free. Then, they highlighted each and every instance of the coverage on their Twitter, Facebook pages and blog. We’ve included a page of this unique web exclusive at the bottom of our post to give you a feel for the artwork and tone. The short story prelude is entitled At the Tolling of the Bell and is downloadable via several sites including DreadCentral.com, which we’ve linked to here. Sunday, March 20 marks the fifth anniversary of Open Design, a game company run under the patronage business model where gamers themselves can be a part of the design process. Here’s the blog post that started at all. Celebrate GMs with RPGnow GM’s Day Sale! CELEBRATE GMs! ANNUAL RPGNOW SALE! Buy your favorite games or try new ones from Postmortem Studios, Cubicle 7, Galileo Games, Pelgrane Press, Pinnacle Entertainment, Adamant Entertainment, White Wolf Publishing, Evil Hat Productions, Green Ronin, Malhavoc Press and even Flames Rising Press, including the best-selling title The Queen of Crows. Zombie fiction from many sub-genres are represented here: zombie apocalypse, zombie survival, zombies in human society, zombie hunters, and more. And the one thread interlocking these disparate groups–ZOMBIE MAYHEM! This action packed anthology takes a syringe full of contaminated adrenaline-laced undead and slams 1000 CCs directly into your chest cavity. Fast paced, yet thoughtful, The Zombie Feed: Volume I will sate your appetite… at least temporarily. Apex Book Company, a small press publisher specializing in the science fiction, horror and fantasy genres, announced today that it has made a significant change to their monthly edition of Apex Magazine. Subscribers and single-issue purchasers will now get an exclusive first look at the stories and poems before anyone else. Prior to January 2011, Apex Magazine was offered to both subscribers and non-subscribers alike. As of January 1st, the magazine, which is edited by Cat Valente, will no longer be offered for free on the publisher’s website until the next issue debuts. New Year, New Game Sale at DriveThruRPG! Try a New Game in the New Year! 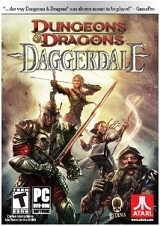 It’s 2011, and DriveThruRPG has 20 games on sale for only $11! The New Year is a great time to start a new campaign with friends, and DriveThruRPG is offering great deals in our “New Year, New Game” event. New Year, New Game Sale at DriveThruRPG.com! 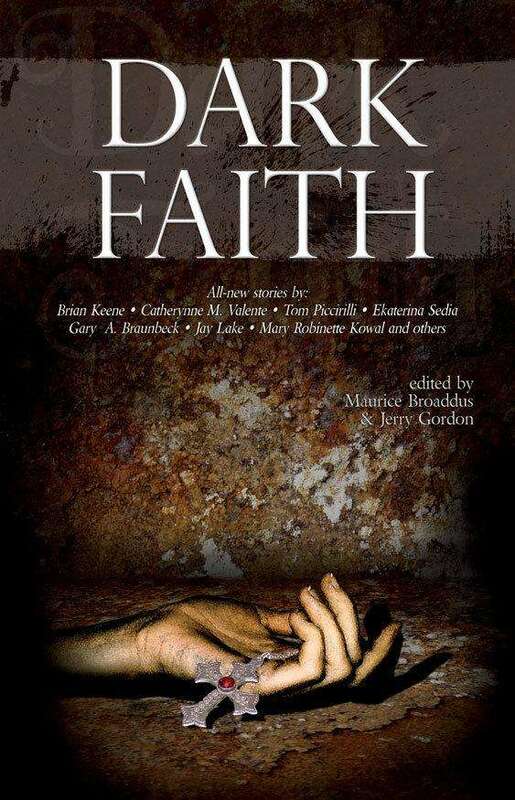 Apex Book Company, a small press publisher specializing in the science fiction, horror and fantasy genres, announced today that Dark Faith, a horror anthology edited by Maurice Broaddus and Jerry Gordon, is their best-selling title of 2010. To celebrate the success of Dark Faith, Apex Book Company is offering the e-book on sale at DriveThruHorror.com for $1.99, which is over fifty percent off the cover price. Zombie Week: Lori Devoti on Zombies, Romance and Contest! FlamesRising.com is pleased to present you with a look at how romance and zombies go together from paranormal romance author Lori Devoti. 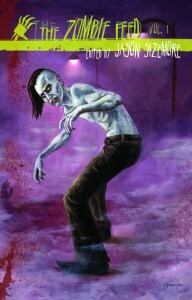 This past year, Lori released Zombie Moon, which was published by Silhouette Nocturne. How do these unlikely elements go together? Read Lori’s thoughts and find out! 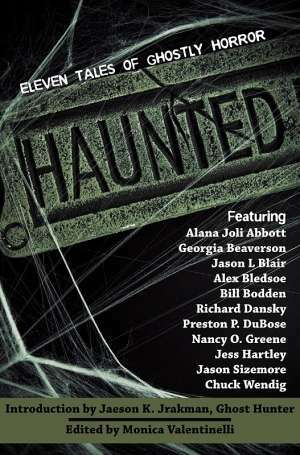 If you enjoy reading paranormal romance, be sure to enter our contest for a free novel from this talented author, too. The day after Thanksgiving can be a virtual nightmare for many shoppers, but yours doesn’t have to be. We’ve made sure our Flames Rising RPGNow Sale is up-to-date and we’ve got a few other deals we recommend checking out. So grab your pen and pay attention! 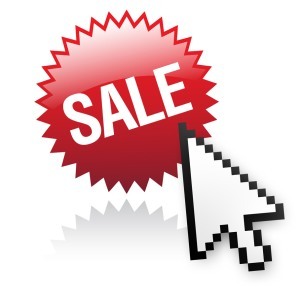 This year’s deals are a little unusual because retailers have extended sale dates. Some sales, like Amazon’s Black Friday Deals are going on through the end of the week, so be sure to visit the sales page for details. Halloween is coming and White Wolf is celebrating with a huge sale on tons of titles. Calling all trick-or-treaters! Have we got a sweet deal for you! If you love games that go bump in the night, then grab your flashlight and slink on over to check out White Wolf Publishing’s Halloween Sale! This sale includes Vampire: The Masquerade, Werewolf: The Apocalypse, Hunter: the Reckoning, Demon: the Fallen and more! 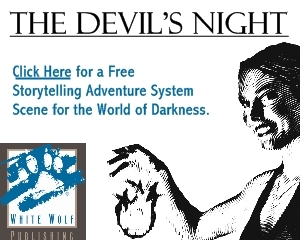 Enjoy twenty-five percent off books from the original World of Darkness. What a treat! Sale ends on Halloween so don’t wait until the last minute. Break out your fangs, your claws and your dice today! Check out all of the titles on sale at the Flames Rising RPGNow Shop! Sony Online Entertainment will be summoning the spirits, spooks and skeletons with the upcoming Halloween-themed activities and in-game events taking place in several of its hit online titles including, Star Wars: Clone Wars Adventures, Free Realms™, EverQuest, EverQuest II and Star Wars Galaxies. Star Wars: Clone Wars Adventures: Sith O’Lanterns and Battle Droid Scarecrows have taken over the Jedi Temple! The inaugural Halloween celebration in Clone Wars Adventures adds plenty of creepy-crawlies around the virtual world. Players can participate in the daily Mask Handout to collect a new iconic mask each day, including Yoda, Jar Jar Binks, Padmé and Grievous! Players can also dress up their characters and droids and decorate their houses with festive items available for purchase in the Marketplace. R2-D2’s Rocket Rescue minigame celebrates with a special spooky Halloween-themed level, complete with a ghost costume for R2-D2. Clone Wars Adventures Halloween celebration is scheduled to begin October 22 and run through November 5. Live in-game Halloween “Emissary Events” are scheduled for October 27 and 29 and November 5 at 3 PM PST/6 PM EST. Curious about Top Cow Digital Comics? 20% Off Coupon! 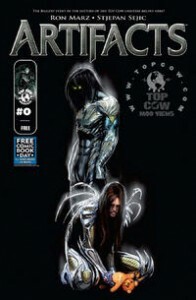 Have you been following our Top Cow comic reviews, interviews and previews here on FlamesRising.com? Our staff reviewers have been impressed with Top Cow Productions, Inc. and their ability to produce quality comics like WITCHBLADE and WANTED, because they are filled with great stories and impressive artwork. Their horror comics include THE DARKNESS and a new comic dubbed BERSERKER, which crosses Norse mythology with violent fighting and heroic action. From now through the end of October, save twenty percent off your purchase of Top Cow digital comics! Talk Like a Pirate and Free Loot to Boot through the 22nd! Shiver me timbers, is that time o’ year again? Today, the world honors the worst sort o’ scoundrel known to sail on the high seas. 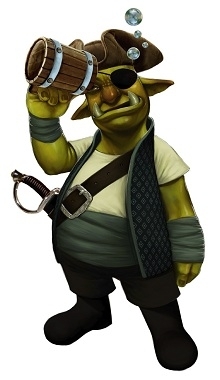 Why, I’m talkin’ ’bout pirates o’ course! It’s International Talk Like a Pirate Day! If yer not talkin’ like a pirate today, ye should be countin’ yer gold. There’s a dark rumor afoot that the biggest digital game retailer has set anchor. DriveThruRPG asks ye to row yer boats over to their site to shop their pirate sale and plunder DriveThruRPG.com for treasure. Arr, their beggin’ ye to hunt for free e-books by opening treasure chests throughout their site. Thar be twenty titles in all and ye don’t need to spend any gold to loot their booty. Not only that, but this fine merchant is offerin’ this deal until the 22nd of September. Did you know that H.P. Lovecraft was born on August 20th in 1890? We did! In honor of H.P. Lovecraft’s birthday, we’re having a week filled with Cthulhu! Whether you’re a gamer or a horror aficionado, we will have something for everyone. Cthulhu Week at FlamesRising.com is special in a lot of ways because of Lovecraft’s influence on the horror genre. Over the years, we’ve covered books, movies, games and music that were either directly or indirectly related to the Cthulhu Mythos. Hands down, Cthulhu is definitely your favorite elder god. From our interviews with Kenneth Hite, Joseph Vargo and A. Scott Glancy to our coverage of the Trail of Cthulhu RPG, Unspeakable Words board game, the Beyond the Wall of Sleep review and several other books, comics, movies and games, it’s clear what an influence Lovecraft has had on the horror genre. We have a lot of really great goodies in the pipeline, including a wonderful contribution from Robin D. Laws, who provided the rules design for TRAIL OF CTHULHU!! !